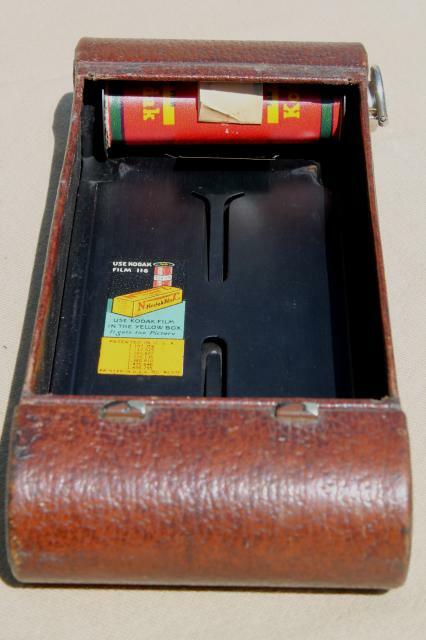 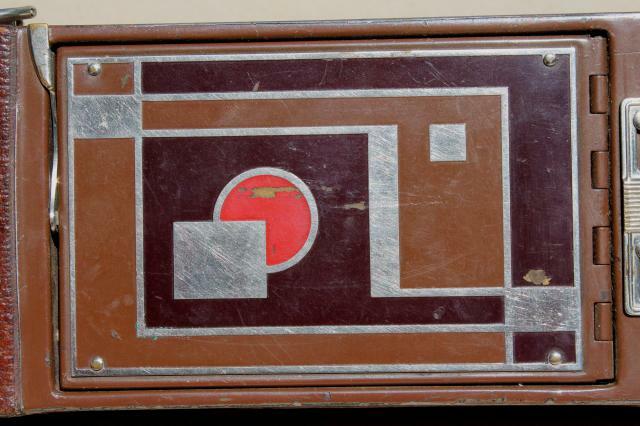 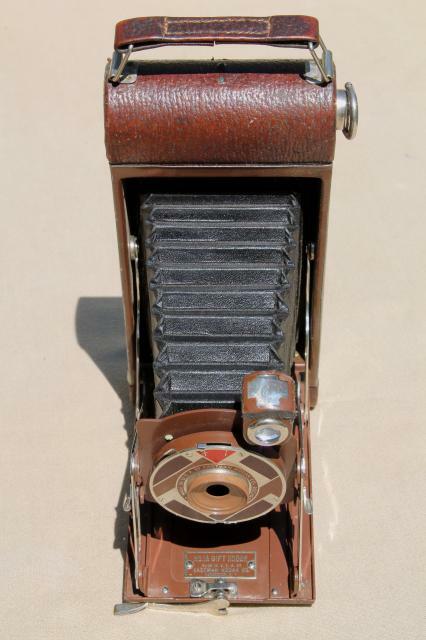 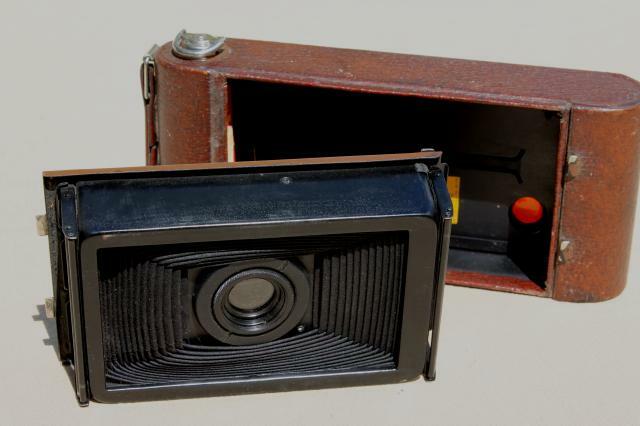 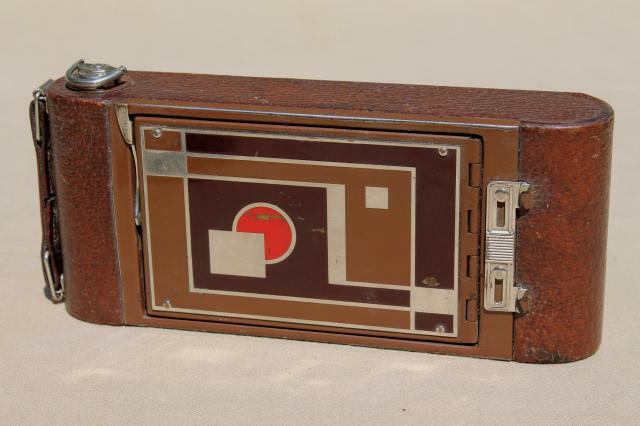 vintage Kodak 1A Gift Camera with the art deco modernist design by Walter Dorwin Teague. 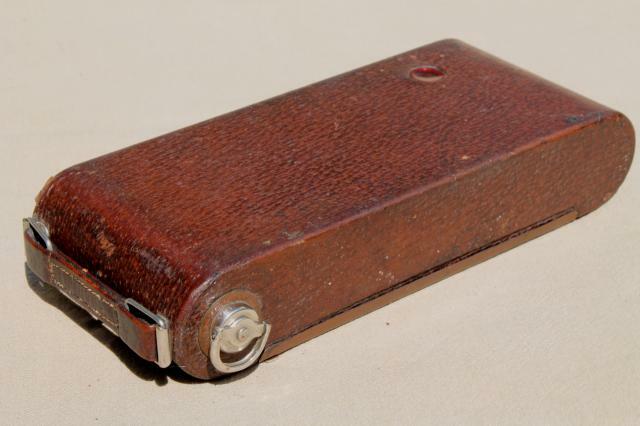 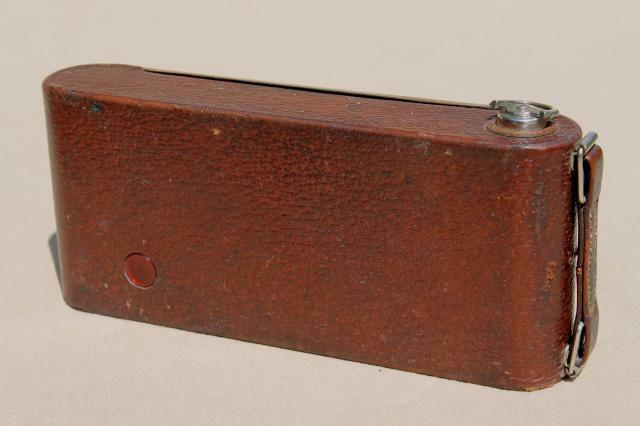 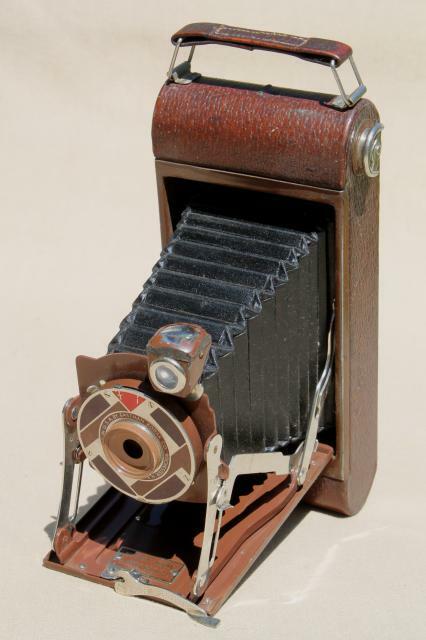 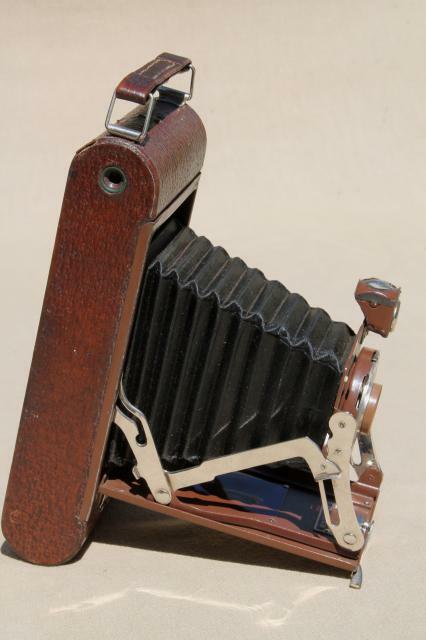 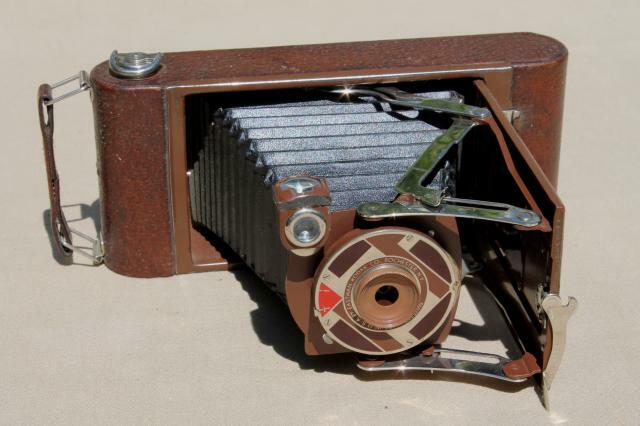 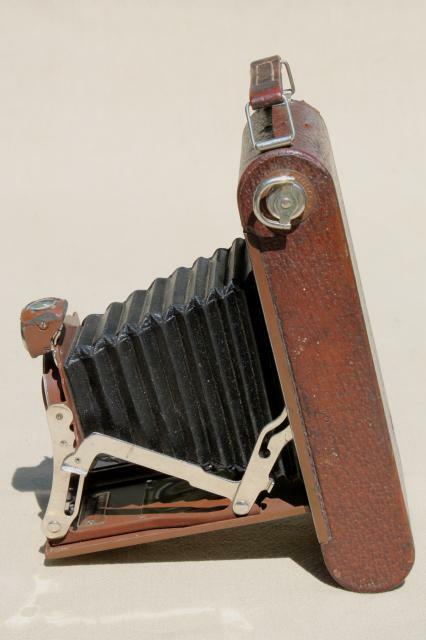 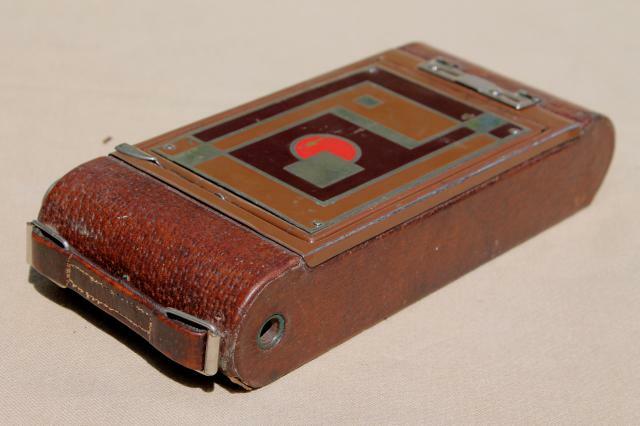 We've been told that this is a rare camera (only 10,000 were ever made for one year between 1930 and 1931). 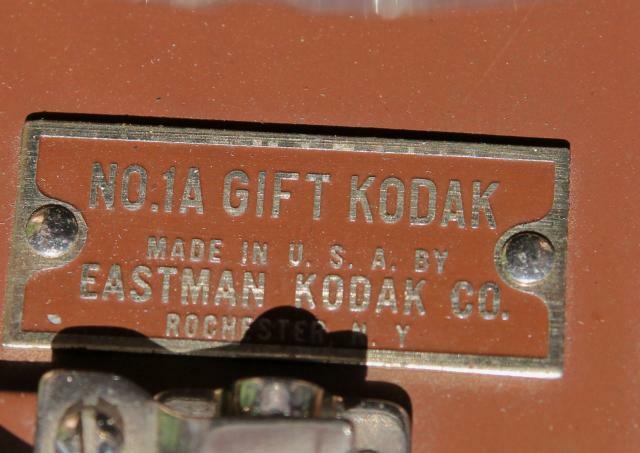 This is nice and clean with wear from use to the front of the camera. 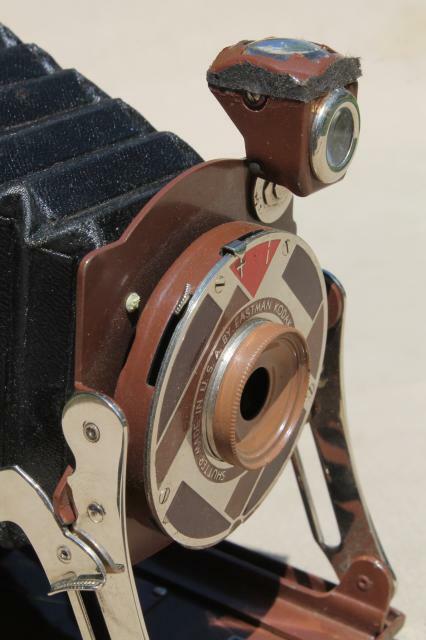 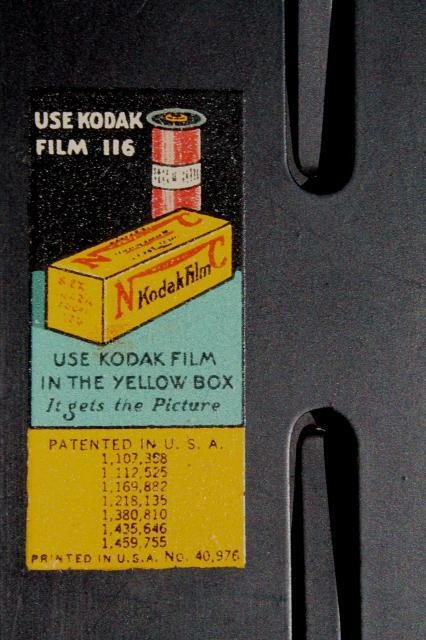 It still has a roll of the old film inside the camera. 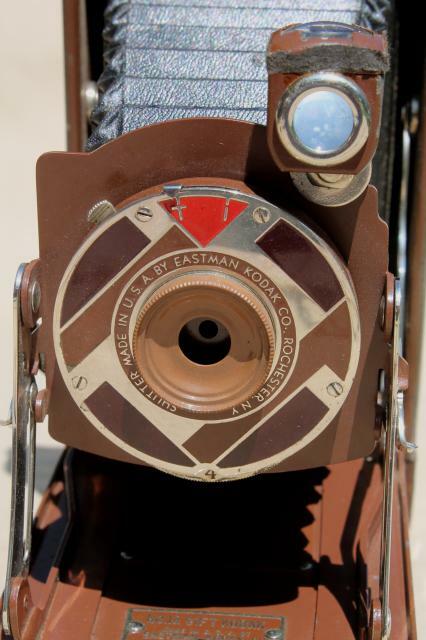 We took a lot of photos of this and please look at all the photos carefully.